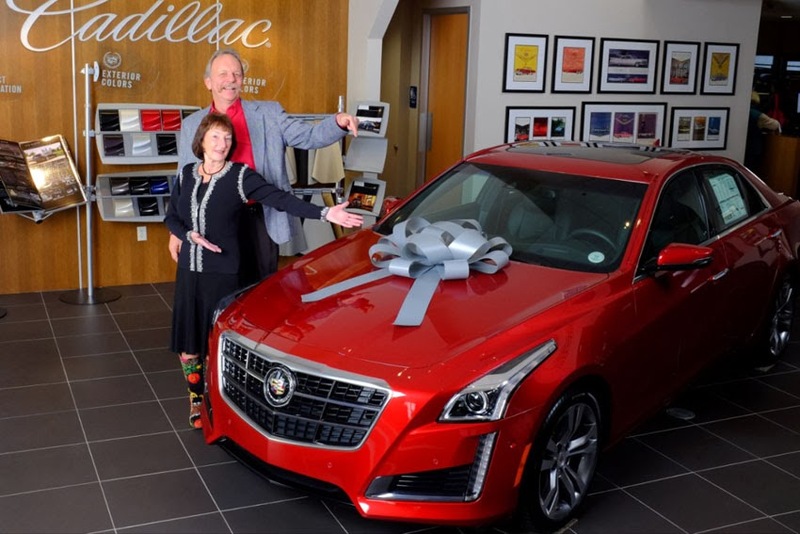 The first Cadillac CTS Vsport produced has been delivered to the high bidder in an auction to benefit the SAE Foundation's support of Science, Technology, Engineering, and Math, or STEM, education programs. took delivery of the new twin turbocharged sedan at McCaddon Cadillac in Boulder. The Whiteds also received a performance driving school package as part of their winning bid. "The choice to purchase the vehicle was a combination of this being a great opportunity to support the SAE Foundation and a great opportunity to obtain the first 2014 CTS," said Tim Whited. "We saw the SAE Foundation/Cadillac display at Reno, then listened to the great presentation… on the auction block. At that point, Pat and I looked at each other and decided to participate in the bidding - the rest is history." The rear-wheel-drive CTS Vsport is equipped with the all-new 420-hp 3.6-liter Cadillac Twin-Turbo V-6 engine and is the first Cadillac to receive the brand's eight-speed automatic. The 2014 CTS Vsport - a new performance model positioned above the standard car but beneath the brand's ultra-high performance V-series cars - began production earlier this month. 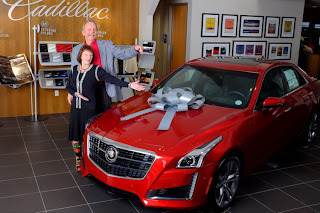 "We are extremely grateful to Cadillac, the outstanding team at Barrett-Jackson, Mr. and Mrs. Whited, and McCaddon Cadillac of Boulder for their incredible generosity and commitment to STEM education in the US," said Lori Gatmaitan, Director of the SAE Foundation. "Collectively, they are helping to deliver quality STEM programming in the classroom and helping to ensure the next generation of professionals has the skills and education necessary to compete on a global basis."